In our research we strive to achieve synthetic control over the creation of functional nanostructures and investigate their physical properties. Periodic porous materials such as zeolites, templated mesoporous materials or metalorganic frameworks offer a multitude of opportunities to create such nanostructures. This is based on their compositional and topological diversity, the well-defined dimensions of their nanoscale pore systems, and the great variety of possible interface design within the pore system and on the external surface. In addition to the porous material itself, the nanoscale morphology of such materials is of particular interest, as it provides an important tool to impart specific properties and function. 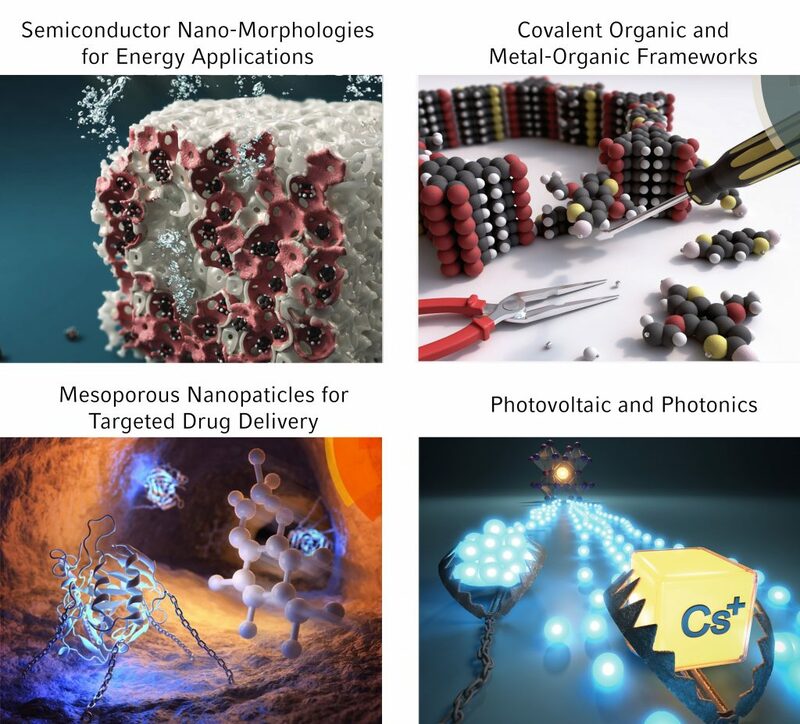 To achieve structural control at the nanoscale, we utilize various interactions such as dispersive forces, hydrogen bonds, metal coordination, self-assembly, and covalent bonds. In combination, these interactions allow us to build functional nanostructures with critical dimensions and morphologies ranging from a few nanometers to hundreds of nanometers.